If you are planning an event to showcase your business or brand, you are going to need something delicious that your clients are not at all likely to forget in a hurry. I can help you with this. From a simple branded cupcake to a bespoke tiered cake, I can design something that will wow your clients and reflect your core values in icing. This service is 100% bespoke so get in touch today to discuss your requirements. 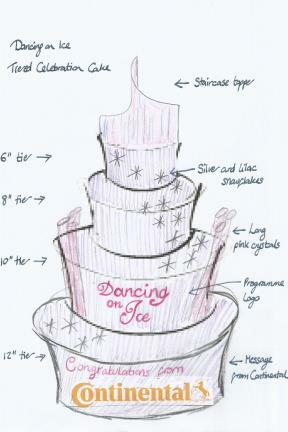 Once I have your brief, I will either be able to quote on the spot (for simple cupcake/cookie orders) or will get sketching up a bespoke design for larger cake orders. Your sketch is your chance to develop the design with me and your extended team. I am committed to creating the perfect cake for your event that will taste every bit as stunning as it looks. Once the design has been finalised, you will be given your final quote and invoiced. My previous work is easy to browse online, on my Pinterest boards, Instagram or Facebook. 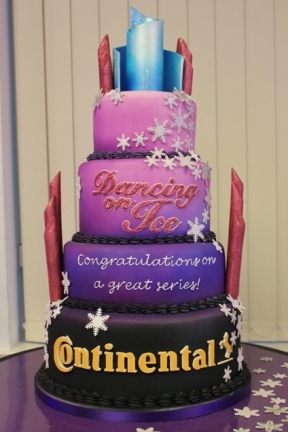 The link to my dedicated Corporate Cake Gallery on Pinterest is via the button below. I take great pride in being able to bake a really delicious cake. Let’s face it, if a cake does not taste as good as it looks, it has failed! You can choose any flavours that you like and rest assured in the knowledge that they will be made from the freshest, organic, and cruelty-free ingredients. Salted Caramel, Peanut Butter, Banana, and all of these can be ordered as cupcakes too. As part of my commitment to making your cake, I will either deliver and assemble in-situ personally or delegate to a trusted member of my team. If your event is being held at an external venue, I will liaise with your contact to ensure that this takes place smoothly. Leave the logistics and any stress to us! Cupcake and cookie orders can also be delivered for a fee or collected from my kitchen in beautiful Bedford free of charge. Payment terms are a 50% deposit on booking and balance due 4 weeks before the delivery date. 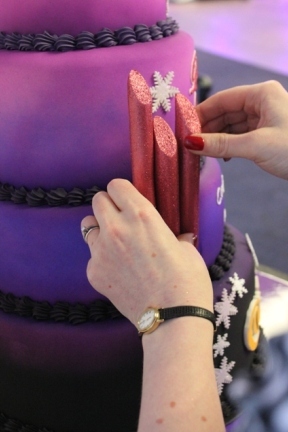 How much does a bespoke Corporate Cake cost? As this is a bespoke service, each cake is priced according to the time that is required to make it. Please remember that you are employing a human to make your cake and this will cost more than a cake that is baked on an industrial scale. Your cake will taste all the better for this! And the cost for Branded Cupcakes and Cookies? Branded cupcakes start at £3.50 each and featured your logo printed in edible ink on icing. Branded cupcakes individually boxed start at £4 each and can be hand-tied on request at a charge of 50p per box. Branded cookies are supplied in clear cellophane bags and start at £3 each. These can also be hand-tied at an additional charge of 50p per bag. If you opt for a tiered cake, you can have as many flavours as you have tiers. Go crazy! For cupcake orders, I recommend sticking to a limited number of flavours (1 or 2, maybe a dark and a light flavour) for your guests’ convenience. For events where cupcakes are going to be eaten at the event itself, I can provide a framed menu of flavours.